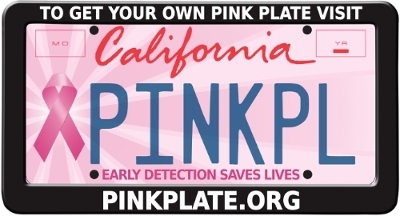 We have an opportunity to influence California State legislators who support AB49 which would create a new specialty pink ribbon license plate. The draft of the license plate carries a breast cancer awareness message—“early detection saves lives.” For thirty years, the mainstream approach to breast cancer has been awareness and screening regardless of the growing reality that, over the decades, incidence rates are rising and no major drops in mortality rates have been observed. While proceeds from these specialty license plates would fund mammography for un- and under-insured women, money would not fund access to quality care and treatment for women if and when they are diagnosed. At Breast Cancer Action we get calls from women across the state who have been screened but cannot afford the cost of biopsies, surgery, or chemotherapy. AB49 in its current form is a “feel good” bill that does nothing to support women after they’ve been diagnosed, and does nothing to stop new diagnoses in the first place. We won’t let politicians pat themselves on the back—and curry voter favor–through this pink ribbon plate that misrepresents the facts and overplays the impact of screening alone. Without including the necessary funding for treatment or research into the causes of the disease, this bill simply falls short. Join us and tell your representatives to move beyond political pinkwashing and take meaningful action to address and end breast cancer because women deserve better. Join us and tell the bill’s sponsor, Assemblymember Joan Buchanan, and your California State Senator that AB49 is an ineffective, “feel good” breast cancer bill that fails to truly serve the needs of women living with and at risk of breast cancer. Ask that this bill be amended so that revenue from any breast cancer plate goes to treatment and research into the causes of the disease. Furthermore, any awareness messages must be evidence based and not misrepresent the role of screening. None of us want to find ourselves driving behind cars bearing a misleading license plate that does little more than make politicians feel good. This entry was posted in BCA Action Alerts, BCA News, E-Alerts.